There have been quite a lot of things happening in North Korea lately. Things that have never happened before. Many experts on North Korean issues are saying that these events are signs of change within North Korea that may lead to reform. Others argue that these changes will not be enough to open up North Korea. Of course, I can’t offer any answers to these debates and it is not OneKorea’s purpose to do so. But instead, I’d like to take a look at some of these changes so that you might be able to form an opinion of your own. Since Kim Jong Un succeeded his father, Kim Jong Il, to be the leader of the world’s most isolated nation in the world, he’s been doing things a bit differently from the way his father liked things done. For one, he introduced his wife to the world. With Kim Jong Il, the leader’s wives were never officially revealed to the world. We may have had some information about them but you would never see them strutting around the country on the arm of their husband. The previous Kim was well known for his secrecy when it came to his personal life. However, this has not been the same for Kim Jong Un so far. We have been seeing Kim Jong Un and his wife in the news quite often lately as they visit various sites together hand in hand such as amusement parks and preschools. Continuing the sports theme, I’d like to talk about Ultimate Frisbee. Or, more specifically, Ultimate Frisbee in North Korea. 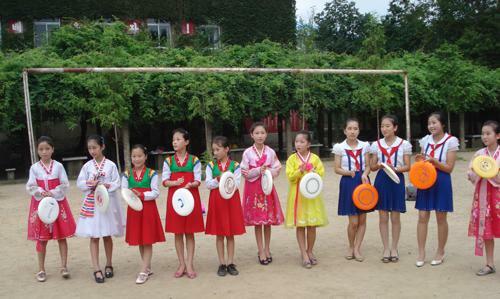 I know, it’s hard to imagine North Koreans running around throwing Frisbees and engaging in just a friendly competitive game. But it’s true! I don’t know about you but I have not been able to get any sleep these past two weeks because of the Olympics. The time difference from London to Korea makes us have to stay up all night to be able to see all of the good games. But, let me tell you. It’s been worth it. South Korea has been doing extremely well, currently ranking 5th. It really is astonishing that a country so small would be doing this well. My parents can’t stop talking about that fact. Even people who aren’t very familiar with North Korean issues know that Kim Jong Il wasn’t your average man. There are plenty of news articles, testaments, and photos to verify this. He had a lot of different hobbies and interests. And North Korean propaganda only adds to his “bigger than life” reputation. I’ve put together a few of those facts and rumors into this article to take a look at. So let’s begin. Last month I introduced to you Luke Elie. You might have seen him in the news recently because he’s been quite a sensation since his trip to North Korea. He’s been extremely busy with all of the interview requests from big name news outlets like CNN, but I managed to bribe him into meeting me for brunch. Coming from experience, connections and food will go a long way. When he asked me what I’d like to ask him in regards to his trip to North Korea, I told him that I had no interest in the politics of it. There is plenty of information out there on the politics of North Korea and its current state and I didn’t think that it would be necessary to add another redundant article to that list. What I was curious to hear about was his personal experience and interactions with the North Koreans he met while there. The number of North Korean defectors arriving in South Korea in the first half of this year dropped to half that of the same period last year. According to the Unification Ministry on Thursday, 751 defectors arrived from January to June, down 45.4 percent from 1,375 on-year. Until last year, about equal numbers fled to China in search of food or traveled to a third country right after escaping the North with the help of their families or acquaintances in South Korea. But now more than 80 percent who arrive here fled to China in search of food first and then come to Seoul later, suggesting that the regime’s crackdown has crippled South Korean NGOs’ organized assistance, and only those who had already fled and lived in China manage to get to South Korea. China’s crackdown on illegal aliens this year also probably plays a part. PYONGYANG, North Korea — An updated version of North Korea’s elaborate “Arirang” performance has opened in Pyongyang. Wednesday’s performance featured up to 100,000 North Koreans and debuted routines set to odes to new leader Kim Jong Un. It’s the first “Arirang” since Kim came to power after his father, Kim Jong Il, died in December. The mass performance with dancing and gymnastics is named after a Korean folk song. Performers this year included children tumbling across May Day Stadium and students who create a huge moving backdrop of images set to music. South Korea is calling “ridiculous” a North Korean claim that activists based in Seoul are behind alleged acts of sabotage in the North. South Korea’s Unification Ministry says police and the National Intelligence Service are taking necessary measures to protect four people, including a freshman lawmaker, threatened by Pyongyang. In an unusual announcement Tuesday, North Korea accused the four people of plotting to blow up statues and commit other acts of attempted terrorism. It said they would not be able to escape merciless punishment. Ministry spokeswoman Park Soo-jin says there is no truth to the North’s allegations and they do not merit a response. Park says Pyongyang is making groundless charges that defectors from North Korea are engaged in kidnappings and terrorism. One of those named by North Korea is Cho Myung-chul, a defector and freshman lawmaker (from the ruling Saenuri Party) who says he feels devastated by the allegation. Cho tells reporters at the National Assembly this is a brutal pronouncement from Pyongyang and he says its threats against those in South Korea are inexcusable. Two other defectors, Kim Song-min, the founder of Radio Free North Korea, and Park Sang-hak, who floats leaflets by balloons to North Korea, were threatened by Pyongyang along with high-profile activist, Kim Young-hwan. Kim Young-hwan was formerly the leader of an underground leftist party, and a long-time polarizing figure on the Korean peninsula. In the 1980s he helped lead demonstrations against the dictatorship then in power in Seoul. He was imprisoned in South Korea for two years. In 1991 he was smuggled twice by submarine to North Korea to meet the country’s founder, Kim Il Sung. But he later became a fierce critic of North Korea’s repressive system. Kim Young-hwan and two colleagues were arrested in China on March 29. They were held there until July 20 on charges of endangering national security. Kim has told local media Chinese security officers tortured him with a cattle prod and threatened to send him to North Korea. He says that as a condition for his release, his captors tried to force him to sign a statement denying any mistreatment and admitting he violated Chinese law. Kim says he wants the United Nations High Commissioner for Human Rights to look into his allegations. He says he also plans to file civil lawsuits against Chinese authorities. Kim has said he was visiting the country merely to collect information on human rights in North Korea and to aid refugees from the North who are in China. He has denied reports he was also attempting to set up the defection of a senior North Korean official. South Korea’s foreign ministry, facing pressure from rights groups, announced Tuesday it plans to interview about 600 other citizens to determine whether they were also mistreated in Chinese jails. With the 2012 London Olympics currently in progress, I thought I’d write about sports. Just in time for the international event, a movie was released this past May simply titled As One. It is based on the true story of Korea’s first unified sports team since the division, an event that brought patriotism and hope to the entire Korean Peninsula. In the News – N. Korea says will build up nuclear arsenal against U.S.
SEOUL, July 31 (Yonhap) — North Korea vowed on Tuesday to further build up its nuclear capabilities, accusing the United States of attempting to topple its communist regime. In a statement carried by the North’s Korean Central News Agency, a spokesperson of the North Korean foreign ministry said the country will counter any U.S. hostility with the utmost resoluteness. “While talking about the livelihood of people in other countries, the U.S. is blocking our economic development and improvement of our people’s livelihood with its most vicious and persistent anti-republic sanctions,” the statement said. The statement said the North did not need the U.S.’s support to develop its economy now that it has nuclear capabilities and the means to further build up its stockpile. “With a rifle in one hand and a banner of industrial revolution in the other, we will surely build a powerful socialist nation while facing the U.S.’s anti-DPRK policies with the utmost resoluteness,” it said. 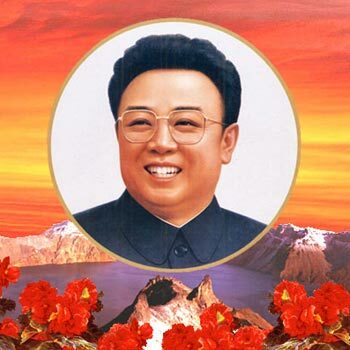 DPRK stands for the North’s official name, the Democratic People’s Republic of Korea. “It is our firm decision to counter U.S. hostility with stronger nuclear deterrence,” the statement said. SEOUL — North Korea is rejecting speculation any economic reform is getting underway in the reclusive and impoverished country. Pyongyang is making it clear it considers unacceptable any assertions from officials in Seoul and foreign media that policy change, reform or opening of the country has begun. Quoting an unnamed spokesman for a North Korean group, the Committee for the Peaceful Reunification of Korea, a television announcer declared that what he termed “ridiculous rhetoric” by South Korean officials reveal their “ignorance and sinister intention” against the North. The announcer said the United States and South Korea, after decades of advocating reform and opening to impose their “corrupt” system, now seem “preoccupied by hallucinations that such a move is taking place” in North Korea. A prominent defector from the North, Lee Yun-keol, says the late leader Kim Jong Il, expressed in his will that the words “reform” and “opening” will not be used. Lee, chairman of the North Korea Strategic Information Service Center in Seoul, says the authorized phrase from Pyongyang is “economic reform management system.” But Lee says this change is not meant to make life better for the masses, but rather to benefit the privileged class. He says, for its survival, the North’s leadership knows it must maintain the military-first policy because any true reform or opening would cause chaos for the government. Meanwhile, North Korea’s powerful National Defense Commission is issuing a separate warning to Washington. This comes after repeated accusations in recent weeks that the United States is behind an alleged plot by agents in the North to sabotage national monuments and statues. The defense authority in Pyongyang said it would launch a physical counter-offensive to render ineffective America’s strategic bombers and carrier strike forces. Lee, who was a researcher at a North Korean state organization charged with extending the lives of the country’s leaders, is not worried by this rhetoric. Lee believes the threats are just a ploy to get more food aid and other desperately needed support from the outside world. Although North Korea is well-armed, Lee says its leaders are actually afraid to start a military conflict and do not have the economic resources to support a war. in 1953 with an armistice that both sides have, over the years, repeatedly accused the other of violating. 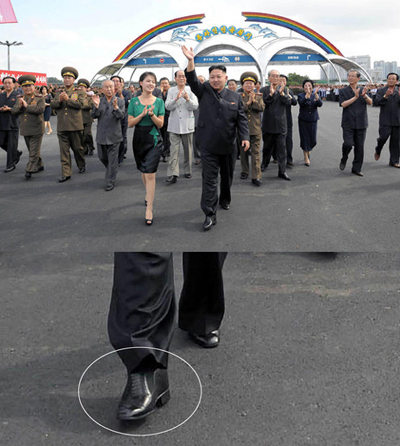 North Korean leader Kim Jong-un has been spotted sporting Cuban heels like his late father Kim Jong-il. In photos from the North Korean state media of Kim visiting an amusement park in Pyongyang with his wife Ri Sol-ju last week, the chubby leader’s shoes look designed to make him seem taller. Kim, who is thought to be 168 cm tall, apparently wears 5-cm lifts. 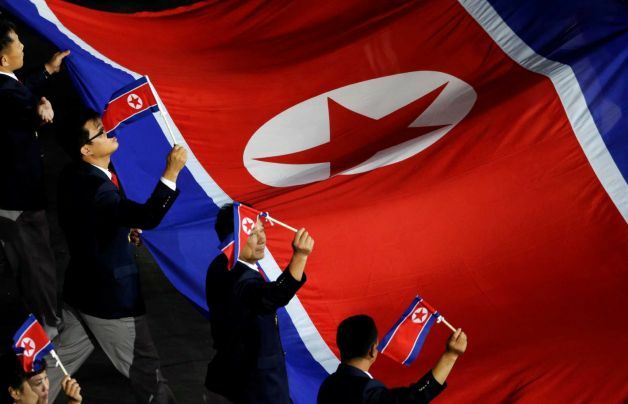 North Korea on Sunday poured cold water South Korean hopes of a changing political climate in the North. The South Korean government and media had cautiously interpreted recent changes in the North as the first signals of reform and opening. Meanwhile, the North’s National Defense Commission issued a statement on Sunday warning of a “strong physical attack” on South Korea and the U.S. in retaliation for an alleged plot to blow up statues of past leaders in the North. SEOUL, July 29 (Yonhap) — The number of North Korean visitors to China increased drastically since then-North Korean leader Kim Jong-il’s tour of the North’s biggest communist ally early last year, Chinese government data shows. The data on the entry of foreigners obtained Sunday by Yonhap News Agency showed that 152,000 North Koreans entered China in 2011, a sharp rise from 116,000 the previous year. Out of the total, 114,000 were businessmen and laborers. The comparable figures were 116,000 in 2010, 103,000 in 2009, 101,000 in 2008, 113,000 in 2007 and 110,000 in 2006. The sharp rise is attributed to the visit to China by late North Korean leader Kim Jong-il in May last year, apparently to enhance bilateral economic cooperation. The number of North Korean visitors to China will likely increase further this year as China has received 88,000 North Koreans for the first six months this year alone. The statistics comes amid reports North Korea’s new leader Kim Jong-un, who took over from his father Kim Jong-il after the senior Kim’s sudden death in December, might soon come up with measures for economic reform. The young Swiss-educated leader has often stressed the need to catch up with global trends in upgrading the country’s industries. His father was rarely reported to be talking about global trends and instead focusing on “juche,” or self-reliance, ideology during a 17-year iron-fist rule of the impoverished state with nuclear ambitions. 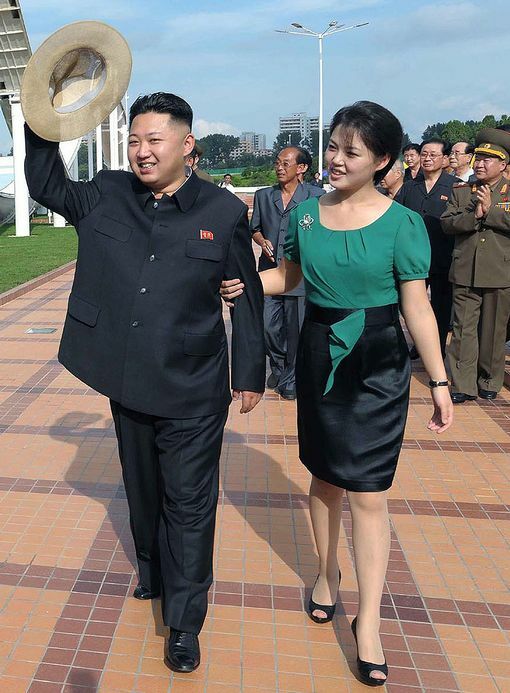 The 28-year-old Kim recently sacked the chief of the North’s 1.2 million-strong Army, has been seen with his wife at official functions and has had North Korean troupes perform in Western style costumes. WASHINGTON, July 27 (Yonhap) — U.S. President Barack Obama issued a proclamation Friday to commemorate the end of the Korean War 59 years ago, as the Pentagon hosted a formal ceremony to mark the anniversary. “Today, on the 59th anniversary of the Military Armistice Agreement signed at Panmunjom, we honor all who served in the Korean War, and we pay lasting tribute to the brave men and women who gave their lives for our Nation,” Obama said in the proclamation. Panmunjom is a truce village in the demilitarized zone dividing the two Koreas. Obama called upon all Americans to observe the day with “appropriate ceremonies and activities” to honor Korean War veterans. “Today, thanks to the service and sacrifice of our veterans six decades ago, South Korea has grown strong and independent. South Korea is a trusted ally, an economic power, a democracy, a provider of security in the Asia-Pacific region and other parts of the world. To the veterans of this war: your sacrifice made a difference,” he said. PANMUNJOM, Korea — Elderly North Korean veterans pledged loyalty to their 20-something leader in Pyongyang during Korean War armistice commemorations Friday that were being closely watched after Kim Jong Un reshuffled the military and revealed he’s married. Over the last two weeks, Kim has taken on the title of marshal and replaced his army chief — once a key mentor. Both moves were seen as an effort to build loyalty among the million-man armed forces and solidify his credentials as commander. North Korea also revealed Wednesday that the stylish woman at Kim’s side in some public appearances this month is his wife. Images of her walking with Kim were choreographed to show the leader as modern, mature and down-to-earth, analysts said, and contrast sharply to his intensely private father, Kim Jong Il, who ruled for 17 years before his death in December. North Korea later set off fireworks. At another location earlier in the day, soldiers from a tank unit named after military officer Ryu Kyong Su, famous in North Korea for leading troops during the war, also staged firing drills. The commemorations are meant to kindle patriotism and loyalty in North Koreans, and especially the young, by showcasing veterans who fought for their country, said Kim Yeon-su of Korea National Defense University in Seoul. Separately, North Korea is filling vacancies left by the sudden dismissal of former army chief Ri Yong Ho. Pyongyang’s official Korean Central News Agency introduced the new military chief, Hyon Yong Chol, as Ri’s successor as a vice chairman of the Central Military Commission of the Workers’ Party in a dispatch Friday. Hyon was promoted to vice marshal and chief of general staff after Ri was dismissed earlier this month. Kim Jong Un chairs the commission. While South Korea and the U.S.-led U.N. forces that fought in the Korean War call Friday the 59th anniversary of the armistice that ended the 1950-1953 conflict, North Korea calls it a celebration of “victory in the Fatherland Liberation War” and veterans streamed into the capital. “Airports, railway stations and parking lots were crowded with delegates to the celebrations, their comrades-in-arms, families and relatives, people from all walks of life and youth and students,” KCNA said. U.S. and South Korean officials marked the armistice at the border village of Panmunjom. Because no peace treaty was signed, the Korean Peninsula remains technically in a state of war. Ahead of the anniversary, North Korea’s Foreign Ministry reiterated its long-standing demand that the United States sign a peace treaty with North Korea to replace the armistice. Washington says normal ties will only come after North Korea abandons its pursuit of nuclear weapons and takes other steps. International nuclear disarmament talks have been stalled since late 2008, and animosity between the Koreas is high. SEOUL, July 27 (Reuters) – Talk that North Korea’s young leader plans to reform the broken economy is already having an impact. It’s helping send rice prices even further out of the reach of most families in one of the world’s most under-fed societies. Seo Jae-pyoung, a defector who now lives in South Korea, spoke this week to a friend in the secretive North who had furtively called him by mobile phone from a mountain-side to plead for cash to be smuggled across to help. “He couldn’t cope with the high prices, saying rice prices had shot up … and he is running out of money,” Seo told Reuters. One of the reasons he and others gave for the price increase was rice hoarding by middlemen hoping that talk of reform would materialise into a chance to turn a profit. A source with ties to North Korea and its chief backer, China, told Reuters last week that the North is gearing up to experiment with economic reforms. Evidence is hard to come by in the almost hermetically sealed and suspicious state, where casual contact with outsiders can mean imprisonment. And because it usually takes defectors many months to make their way out of the North to a country where they can speak openly, information can be out of date. But some of the defectors Reuters spoke to in Seoul said they were in clandestine contact with people inside the North. Reuters also spoke to foreigners who had gone to North Korea in recent months under government-sponsored visits. The overall impression was that in the about seven months Kim Jong-un has been in office, there have been few tangible changes inside a country which is now, since Myanmar’s decision to open up, Asia’s last pariah state. 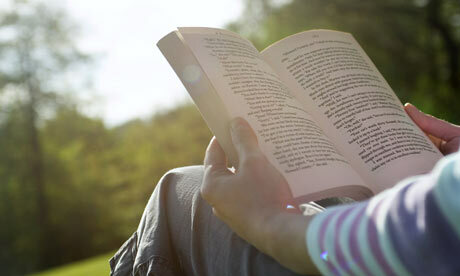 “I’ve not heard anything to suggest any improvement for the rank and file there. And in some sectors, things continue to slide,” said one Christian activist with Helping Hands Korea, which works with refugees fleeing the North. Kim, thought to be in his late 20s, is the third generation of a family dynasty that has ruled North Korea since its founding. He took over when his father Kim Jong-il died in December. With international sanctions over weapons programmes, and the insistence of the Kims on food and resources going to the military first, the general population has been on the edge of starvation for decades. The effects of such prolonged meagre diets is one of the startling images of North Korea, making the chubby leader Kim stand out even more against his subjects. “What’s strikingly obvious is peoples’ stunted growth, they’re all very short for their age,” said one humanitarian worker who visited the North earlier this year. “There’s always going to be a food shortage, The problem is, what they can produce, the best always goes to the best (top of society).” That elite refers especially to the military, estimated at 1.2 million out of a population of 25 million. According to North Korean defectors who still keep in touch with family and friends and Daily NK, which monitors conditions in the reclusive state, the price of 1 kg (2.2 pounds) of rice in the market was estimated to be at least one month’s salary. But that, said one defector, is meaningless because the cash-starved state, the main employer, rarely pays salaries. “Even if you are employed by the state, you do business in the market. If you are an office worker, you do business in the market in the afternoon … There’s no way other than this to make it there,” said the woman, in her 30s, who asked not to be identified because she feared reprisals against family members still in the North. She fled the North late last year. “Basically, many people are doing restaurant business or selling things on credit and pay off credits later. There is a huge gap between the rich and the poor. Pyongyang has enough supplies but other areas fall short. So it is completely up to an individual’s effort. If you try hard to make money, you can survive. But if you don’t, you struggle,” she said. She and other defectors said the authorities had been tightening their watch on the border with China, about the only route for escape. The dangers of crossing the border are compounded by the very high risk of being sent back to the North by Chinese authorities to face imprisonment or even execution. North Korea has dabbled with reforms over the years but never stuck to them, forced to rely increasingly on China to prop up a rusting industry and broken infrastructure. Most recently, in 2009, it orchestrated the re-denomination of the currency, a move deemed so catastrophic that the official who initiated it was reportedly executed. None of the defectors Reuters spoke to believed the leadership would dare allow reforms that damage its grip. Some thought the Pyongyang elite had been scared by the disastrous 2009 experiment. Analysts say this fear of reform explains why the Kim dynasty has stuck so rigidly with a system that ensured the country was excluded from any benefit of being at the centre of the world’s most rapidly growing region — China, Japan and South Korea. While their economies have surged, North Korea’s has shrunk. Once wealthier than the South, its economy is now less than three percent of South Korea’s. Its population is half the size. “I think even if it loosens up, it would only be partial. If it fully opens, the regime will collapse. People began to not trust the regime after the currency reform in 2009,” said the woman defector who said she fled because she could no longer tolerate the constraints on her life. Kim Yong-hwa, a defector who heads the NK Refugees Human Rights Association on Korea, was equally dismissive. SEOUL, July 27 (Yonhap) — North Korean leader Kim Jong-un has attended a music performance together with his recently unveiled wife, state media said Friday, their first reported outing since the wife’s identity was revealed to the outside world for the first time earlier this week. The wife has been a focus of speculation since earlier this month when state media began showing her closely accompanying the young leader during a series of public appearances without identifying who she was. The North’s media identified her as the leader’s wife, Ri Sol-ju, on Wednesday. Seoul’s intelligence agency said the 23-year-old Ri, who is believed to have been educated in music and sang in a national orchestra, married Kim in 2009 and may have a child with the leader. On Friday, Pyongyang’s Korean Central News Agency (KCNA) said the couple viewed a music performance by the music band of the country’s police force Internal Security Forces held in Ponghwa Art Theatre in Pyongyang a day earlier. The singing and dance performance was held to celebrate victory in the Korean War, the North Korean holiday that marks the July 27 truce in 1953 that ended the 1950-53 conflict. “The performers sang of the undying feats of Kim Il Sung, who wrought miracles of history by defeating the most atrocious U.S. imperialists in the war,” KCNA reported. Kim expressed great satisfaction over the performance, which extolled the country’s Songun, or military-first, revolution, it said.